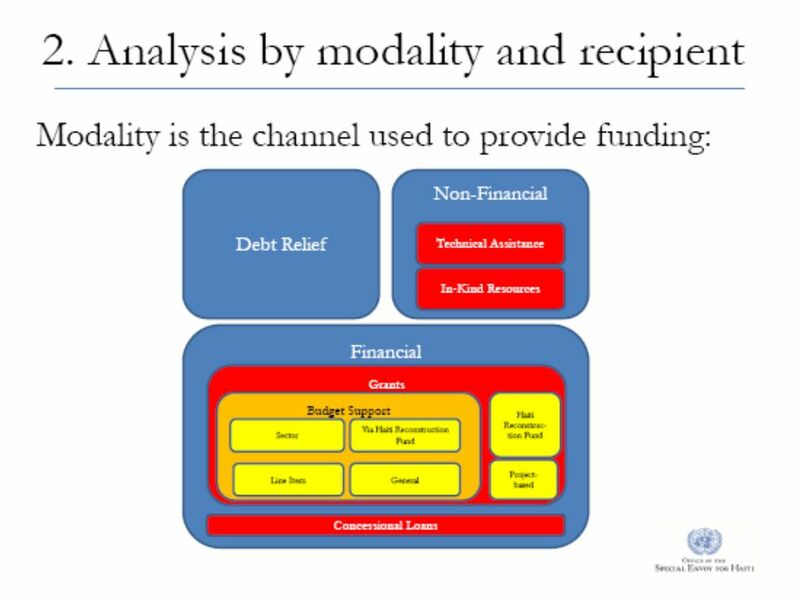 Post-Earthquake Aid to Haiti 1.Overview of funding 2.Analysis of recovery funding by modality and recipient 3.Analysis of recovery funding by sector 4.Lessons. 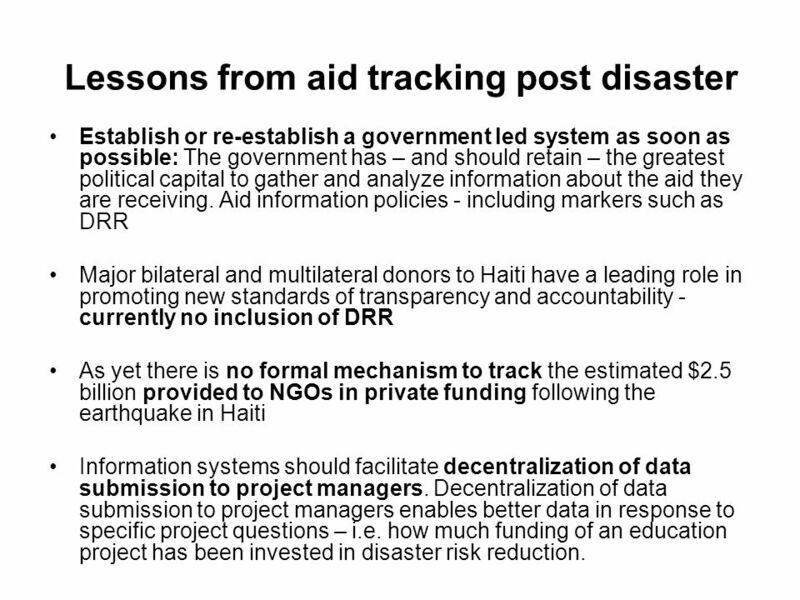 10 Lessons from aid tracking post disaster Establish or re-establish a government led system as soon as possible: The government has – and should retain – the greatest political capital to gather and analyze information about the aid they are receiving. 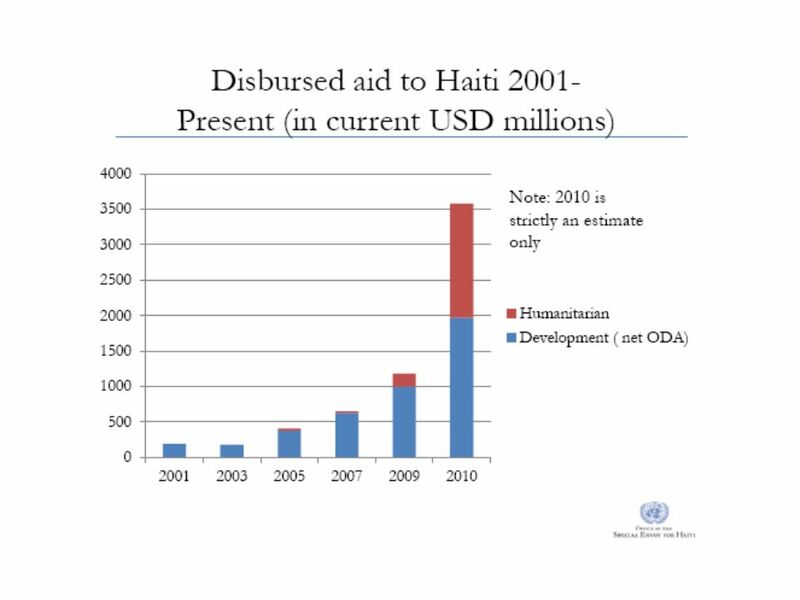 Aid information policies - including markers such as DRR Major bilateral and multilateral donors to Haiti have a leading role in promoting new standards of transparency and accountability - currently no inclusion of DRR As yet there is no formal mechanism to track the estimated $2.5 billion provided to NGOs in private funding following the earthquake in Haiti Information systems should facilitate decentralization of data submission to project managers. Decentralization of data submission to project managers enables better data in response to specific project questions – i.e. 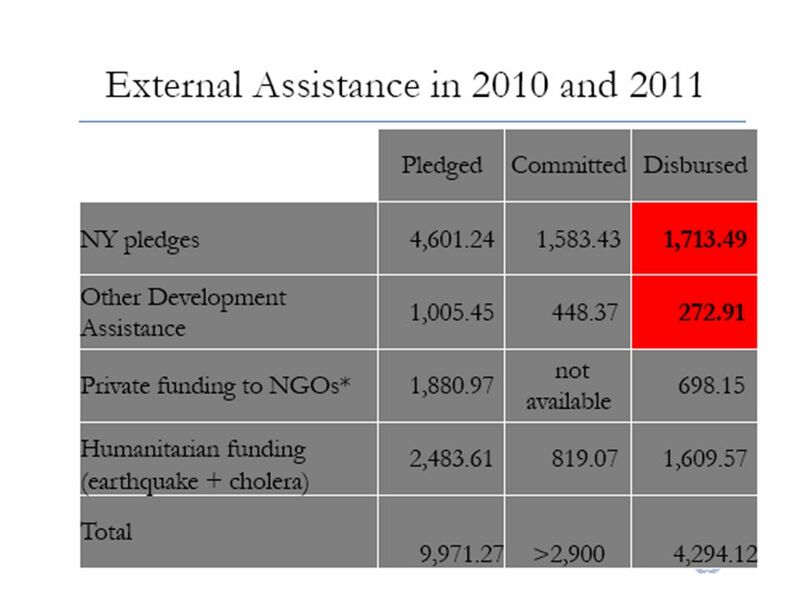 how much funding of an education project has been invested in disaster risk reduction. 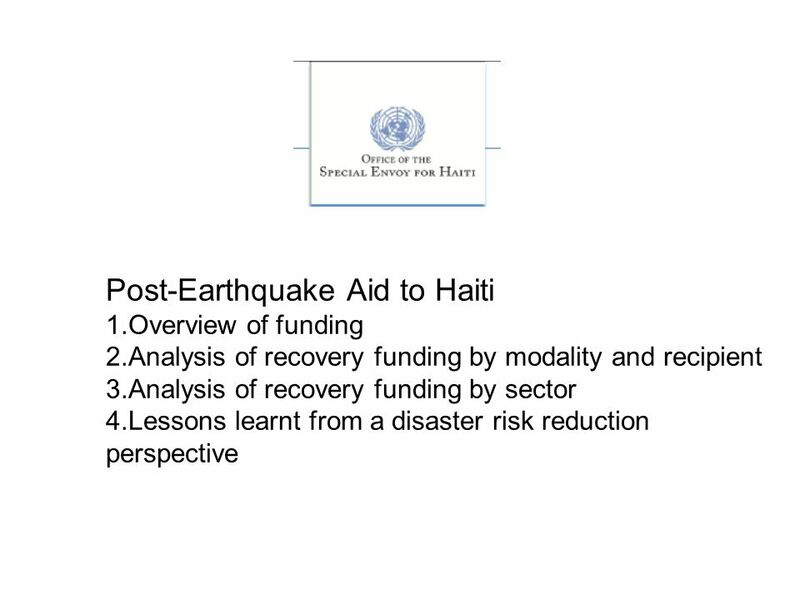 Download ppt "Post-Earthquake Aid to Haiti 1.Overview of funding 2.Analysis of recovery funding by modality and recipient 3.Analysis of recovery funding by sector 4.Lessons." Disaster Aid Tracking Hemang Karelia Global Facility for Disaster Reduction and Recovery (GFDRR) The World Bank. 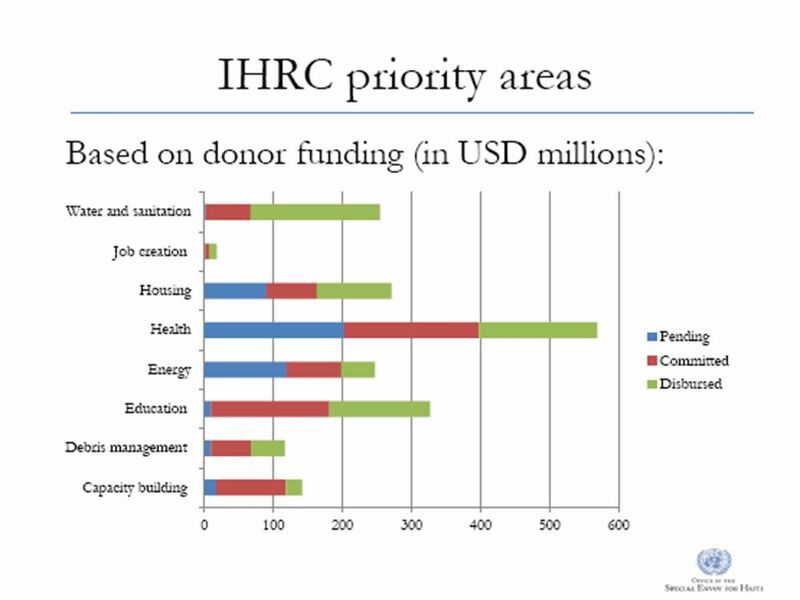 Donor Performance Assessment Framework – results and lessons learnt on transparency and mutual accountability - Rwanda - John Bosco Ndaruhutse External. 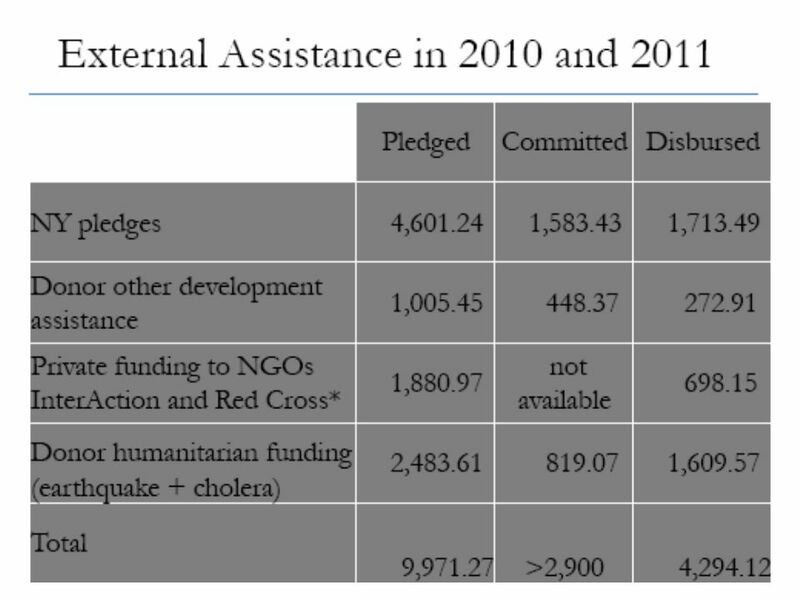 Health governance in fragile states Lessons from early recovery fragile states…. Laurie Zivetz, MPH, PhD. Learning from Disaster Recovery International Recovery Platform (IRP) Review of Emerging Lessons. ARF Training: Developing a Common Framework for Post-Disaster Needs Assessment, Recovery and Reconstruction in Asia Bangkok, November 2010 EU-UN-WB. The Danish Civil Society Strategy – reflecting past experience while embracing new approaches? 16 June 2009 Lars Udsholt. Southern Africa Group Represented Countries Malawi South Africa Zambia Mozambique Moderator: Nalishebo Meebelo. OUTLINE OF THE PRESENTATION  CDMP: What and Why  Outcome Area  Major Achievements  Lesson Learnt. REGIONAL CONSULTATION Financing for Development Panel 3: Creating Conducive International Frameworks for Resource Mobilization Hans-Peter Werner Development. Global Platform For Disaster Risk Reduction May 2011 Geneva, Switzerland Lebanon’s National Risk Assessment Nathalie Zaarour. 1 Paul Steele 17/3/15 DOCUMENT TITLE Author name Date Author name Date. PEDRR Partnership for Environment and Disaster Risk Reduction Partners for Resilience WELCOME A Learning Event on Ecosystem-based Disaster Risk Reduction. 1 Financing of Climate Change Mitigation and Adaptation The World Bank Perspective ECOSOC-BWI Meeting United Nations April 14, 2008. 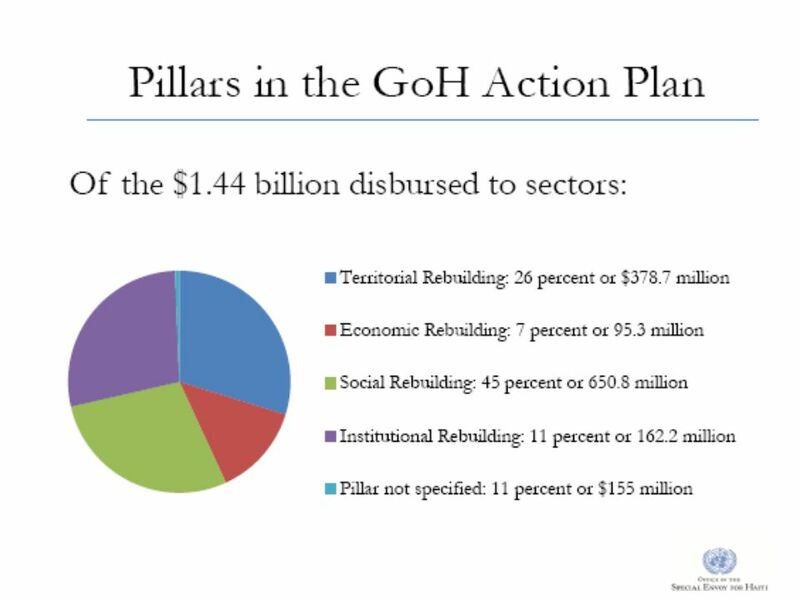 Building More Effective and Inclusive Partnerships for Development 45 partners (38 Governments and 7 International Organisations) 21 donors Global partnerships.